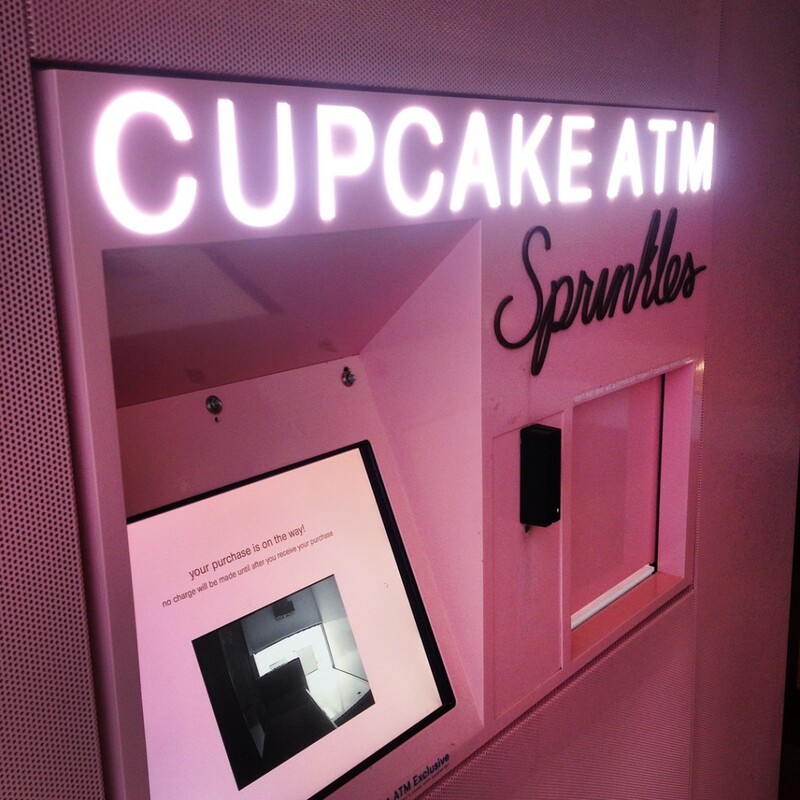 Also enjoyed a sweet treat this afternoon at SPRINKLES… an their amazing Cupcake ATM!!! Yes, you walk up to the machine outside of the store, tap the screen to make your selections, then pay with your card as the robot inside is pulling your order and placing it in the little box to the right. When the window slides up, you pull your boxed cupcakes out! Freshly made bakery cupcakes with amazing flavors… and even better FROSTING!!! So much fun… and so yummy!! !